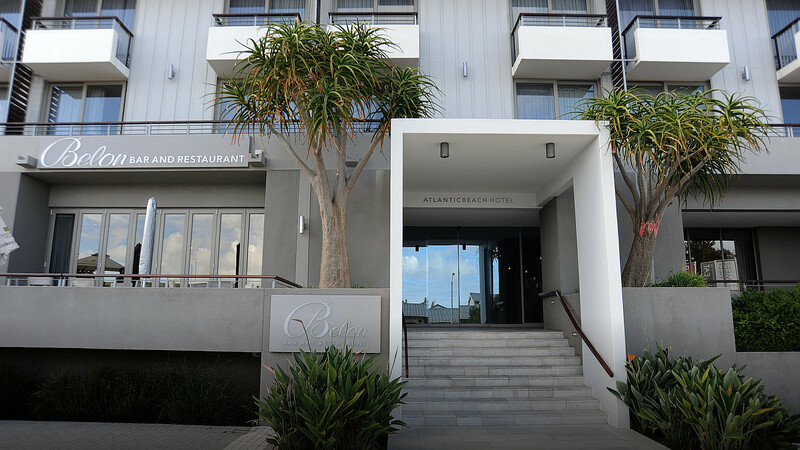 The Atlantic Beach Hotel has 38 bedrooms, situated on two floors, facing either the Blaauwberg Mountain or the village of Melkbosstrand and the Atlantic Ocean. Bedrooms are decorated in cool and calm tones of grey, silver, white and cream, with individual decorative pieces of driftwood, reflecting the hotel’s location. Approximately 20 square meters, these rooms overlook the Blaauwberg Mountain and offer one queen bed with en suite bath and/or shower. Approximately 21 square meters with twin beds, work station, en suite shower and balcony overlooking the peaceful village of Melkbosstrand. Approximately 32 square meters with one queen bed, a sitting area, work station, en suite bath and shower, and balcony overlooking the peaceful village of Melkbosstrand. Comprise of a well appointed lounge and guest WC with a separate, spacious king bedded en-suite bedroom with a work station and balconies with wrap around views of the village and Atlantic Ocean. Suites are approximately 52 square meters.